Greetings! My fellow artistes, are you seeking the best portable easel for your away-from-the-studio endeavors? You know that if you are going to be doing public demos, teaching a class or just going out in the great outdoors to capture a scene on the fly, you can’t take that big fancy studio easel with you….you need something that can go anywhere you can, collapse on a dime, and still be sturdy enough as you go about your fun artistic excursions. No, that’s not a tall order….art easels are getting more in the direction of being more portable and easy to tote along. 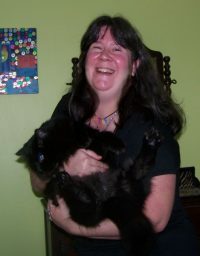 When I painted at home, I used my staunch big H-frame one, but when I tool classes, I had a nice foldup easel from aluminum that was lightweight and folded down so all I had to do was unfold it for use and collapse it when I was done. OK, ready to take a look at some of the best lightweight and portable easels that can meet your needs and go anywhere you can? I love this one in unfinished wood – I remember my art professor in college had one of these for use during in-between -class hours. It held all of his art supplies. This beauty has compartments to store all of your painting items like individual paint tubes, knives and sponges. It’s kind of got a suitcase concept, in which you can open and close it at the hinges depending on where you are coming or going. The compartmentalized setup lets you have all your equipment in easy reach and comfort. You can adjust the height at the back via the multiple notches for the best support. Are you someone who enjoys painting or sketching outdoors? This French style field easel may easily become your new BFF! 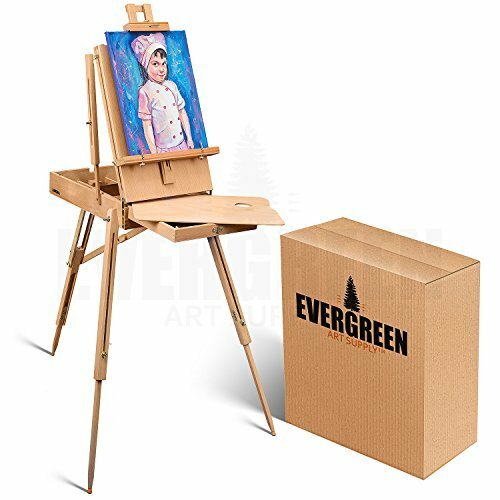 It comes with a handy sketchbox and drawer for storing your materials and not only can be adjusted but it also has a convertible function in which case you can set it up to use on the floor OR folded back up into a desk easel for use via tabletop. You have an option of different wood finishes available to you as well as bonus materials. It fully extends to 71″ and can accommodate slightly larger canvases (up to 34″). With a handy carrying strap, you’ll be all set to go wherever you need to go to capture the beauty of nature. If you’re looking for the kind of easel that can handle multiple medium types and be adjusted accordingly – look no further! You can tilt it back or tilt it down flat if you’re working in watercolors – it’s got a generous storage drawer that will keep all of your paints and other tools safely within reach. This beauty is not only adjustable to a height of 71″ and will support a canvas with a max height of 34″, but it’s got convertible function too – you can use it as a floor length easel or desk-foldup for tabletop use. And like the previous model, it’s great field easel for the outdoors too! Lots of favorable and high ratings behind this one too by the way. I found this little cutie on Amazon and I pretty much forgot about the old aluminum one I’ve had for a long time after I saw this unique compact minimalist design. 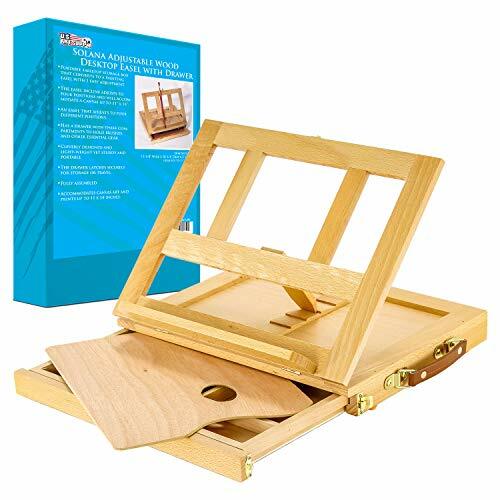 This small artist easel is actually made of two standalone wooden parts with notches sized to support your canvases. The bottoms are reinforced with non-skid rubber padding so they’ll stay put. The notches will support standard three-fourths thickness canvases only and will not support “gallery wrap” or thin canvas panels. 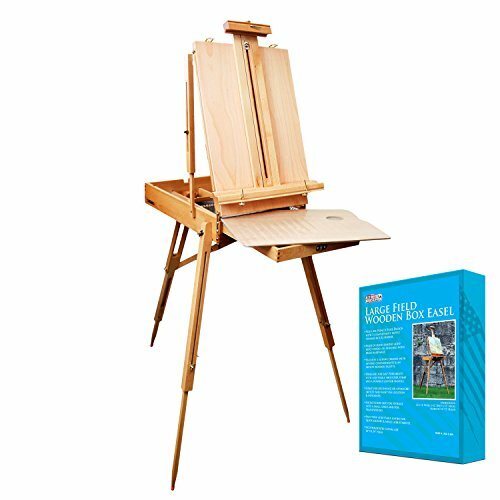 I think this is a great little tabletop easel for painting if you’re a hobbyist…it could also be used to display your work in a pinch. They don’t get more portable than this one, that’s for sure! Only thing I didn’t like was the strange chemical smell; I had to let it sit out for a week before the weird odor dissipated. Also – the notches – that part that your canvas hits directly, I feel like you miss those spots….is there a workaround for that? Other than that, great concept! Even if you already have a great studio easel that you’re proud of, it’s great to have a backup to take with you. One day you may find your art taking you places and so it pays to get the best portable art easel that will go with you everywhere you need it to! It is important to have a travelling easel that holds up to wear. Thanks for showing us some excellent portable art easels that are not too expensive.